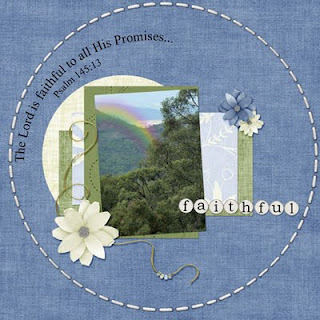 This is my page for #17 Scripture Challenge at Faith Sisters. I have mostly used a kit called Home by Just Passin Thru. The lettering for faithful was Little Glass Alpha by Donna Duncombe Designs. The word we were give was "Faithful"